Shoplifting may seem like a minor crime, especially if you just slip a candy bar in your pocket or put a t-shirt under your clothes before you walk out of the store without paying. The truth is that Florida treats these cases very seriously, since shoplifting costs US business owners billions of dollars every year. You should discuss your circumstances with an experienced theft crimes lawyer, but you may also benefit from reviewing some important information on these cases. A related crime that falls under the umbrella of shoplifting is using an antishoplifting device while inside a merchant’s location. Plus, mere possession of any equipment designed to counter shoplifting is also an offense – even if you did not actually use it. The assumption is that you intended to use it in connection with a theft crime. Items Valued at Under $100: This crime is a second degree misdemeanor, so you could face up to 60 days in jail and a $500 fine. Merchandise Valued at $101-$300: This form of shoplifting is petit theft in the first degree. Your potential sentence may include a year in prison and a fine up to $1,000. Theft of Items from $301-$5,000: You could be arrested for grand theft, which is a third degree felony. You could spend up to five years in jail and a $5,000 fine. In addition, you should keep in mind that your prior criminal history with theft is relevant to sentencing. A second or subsequent conviction could bump the charges to a higher level crime, which also increases the severity of the punishment. Consequences for your Driving Privileges: In addition to fines and potential jail time, a conviction for shoplifting may also affect your driver’s license. It is always important to remember that driving is a privilege, not a right, in Florida. The state can take away your license just as easily as it gives it to you. The judge in your criminal case may order a suspension if you are found guilty of a misdemeanor shoplifting charge, at up to six months for a first offense. Again, subsequent offenses lead to a longer suspension, so your driver’s license could be suspended for up to one year. If you were arrested for shoplifting, it is critical to retain a knowledgeable defense lawyer to fight the charges. Beyond potential jail time and fines, your driver’s license could be suspended – further affecting your life. 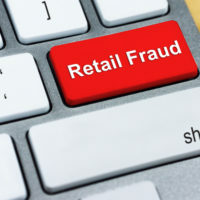 For more information on retail theft, please contact Fort Lauderdale, FL criminal defense attorney Kevin J. Kulik to set up a consultation.